I’ve long been interested in individual actions—and minimalist instances of resistance—that testify against a seemingly insurmountable power. It’s no wonder, I suppose, that this interest has been revived of late. As a poet, I have been especially fascinated by the role of refusal: particularly, actions on the part of writers—those whose very material is the language—to use “No” (and silence itself) as a dexterous instrument. In an article in the Boston Review, I explored several writers’ renunciation of writing as a “not-saying” that “becomes language,” describing how for some poets the removal of themselves for a time from certain modes of production and/or from participation in the so-called publishing industry is not simply a negative (or subtractive) act but an action that offers a positive and proactive means to articulate their convictions. 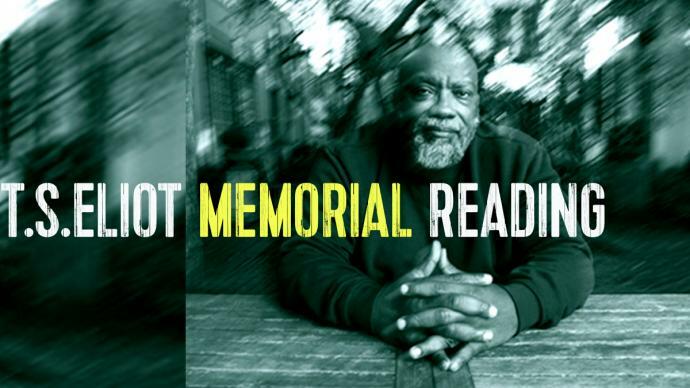 Over the course of the past century, poets and writers as varied as Lawrence Ferlinghetti, Amitav Ghosh, Robert Lowell, Sharon Olds, Alice Oswald, Adrienne Rich, and Rabindranath Tagore (to name but a few) have extended this gesture into the arena of awards and ceremonial occasions, using “No” as a decisive means to articulate a rejection of a particular administration’s, nation’s, or organization’s aims. “I just spoke with a young man from your office, who informed me that I had been chosen to be one of twelve recipients of the National Medal for the Arts at a ceremony at the White House in the fall. I told him at once that I could not accept such an award from President Clinton or this White House because the very meaning of art, as I understand it, is incompatible with the cynical politics of this administration. I want to clarify to you what I meant by my refusal. “I tried to see my way clear to attend the festival in order to bear witness–as an American who loves her country and its principles and its writing–against this undeclared and devastating war. The above examples are just some of the many ways in which poets have harnessed refusal and allowed absence to have its vocabulary. Is there, I’ve often wondered, an equivalent gesture for publishers? Can circulation itself be disrupted to articulate a critique? 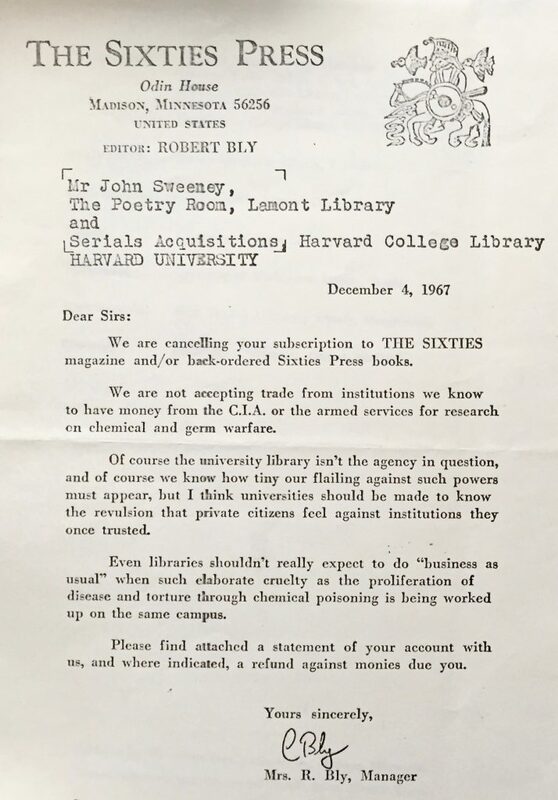 I found an answer recently in a series of letters, housed in the Woodberry Poetry Room collection, which document the ingenious actions of Carol and Robert Bly, in their role as co-publishers (with William Duffy) of the magazine, The Sixties. 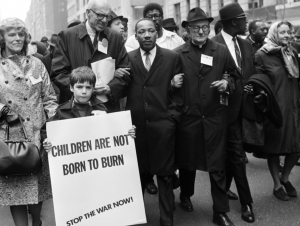 Dr. Benjamin Spock & Dr. Martin Luther King, Jr. (April 1967). 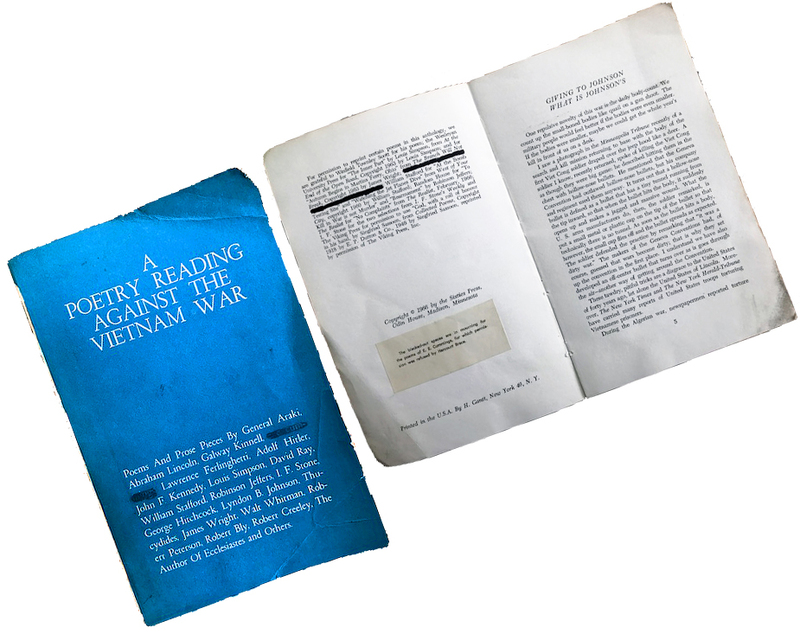 In his capacity as a translator and publisher, Bly also sought out the works of international poets (particularly Spanish-language authors) to widen the scope of American publishing, and he co-founded with David Ray the organization: American Poets Against the Vietnam War. While Robert Bly focused his activism primarily on writing, translating, and publishing poems, his wife Carol Bly saw circulation itself as an additional means to take a stand—and, she did so in the form of the cancellation of subscriptions. Woodberry Poetry Room, Houghton Library, Harvard University (2000M-13). 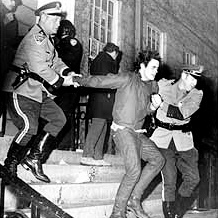 “A copy of your form letter cancelling the Harvard Poetry Room’s subscription to The Sixties magazine has come to my attention. I will not dispute the Blys’ decision to adopt such a policy which, it seems to me, if carried to its logical conclusion, would effectively isolate them from most activities of American life. But my hackles rise at the unjustness and untruth of the implied allegation against Harvard. 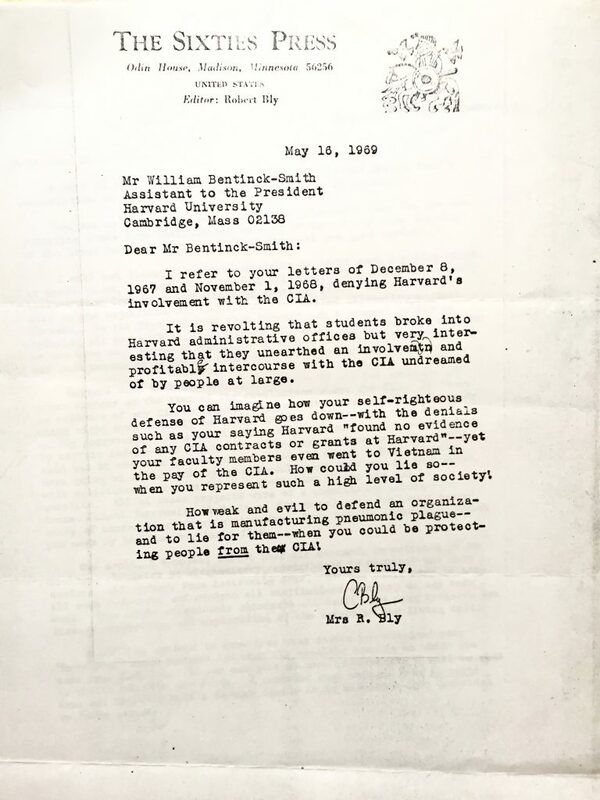 Do the Blys not know that Harvard has a general policy of refusing all research of a classified nature in time of peace? that we do not have such research contracts or grants now and that we have not had such contracts or grants since the end of World War II? 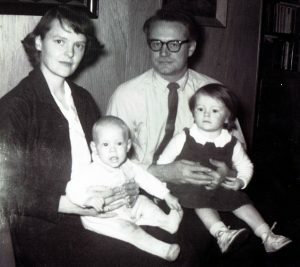 The Bly Family, circa 1964. Courtesy of Bridget and Mary Bly. According to Bridget Bly, “My mother’s hand is very evident in the inclusion of bits of prose by Adolf Hitler and Hermann Goering and NYT reporting of the war.” And, no doubt, in the booklet’s dexterous placement of articles on genocide next to graphic descriptions of American use of napalm. There is no record of a response…. But, poets (and those involved in supporting this art form) are particularly well-equipped for that—trained as we are on patience and solitude and incremental reception, and guided (for the most part) by the worthiness of the action itself. Poets are uniquely suited, therefore, for acts of resistance, since we do not depend on the immediate prospect of success of that Resistance. For more than 40 years, precipitated by the events in 1969, ROTC was excluded from Harvard. And, some greater transparency did emerge. If slowly. During the early years of the Cold War, according to Gates, “some of the most noted university professors of the time served on a regular basis as unpaid consultants.” What he calls “the decline in CIA-academia ties” began in the same exact year as the letters I have reprinted above: 1967. CURATOR’S NOTE: I wanted to thank Bridget and Mary Bly for their immense generosity in permitting me to publish these materials and for illuminating their history for me. And, I wanted to encourage any readers who have stories/anecdotes about other similar literary-political actions to feel free to share them in our Comments section below. 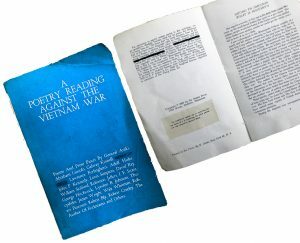 Tagged with: "a poetry reading against the vietnam war", "adrienne rich", "carol bly", "literary activism", "robert bly", "robert lowell", "sam hamill", "sharon olds"